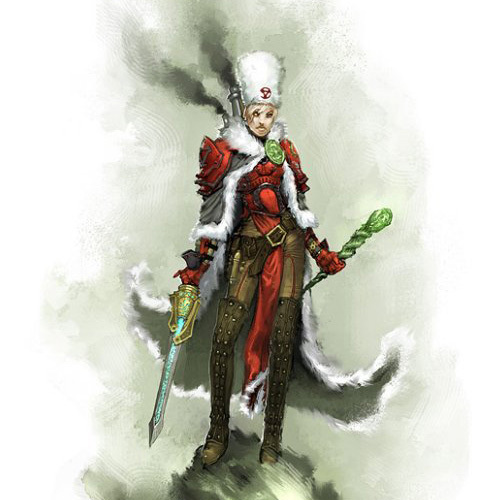 Next up will be a Khador warcaster – Zerkova. 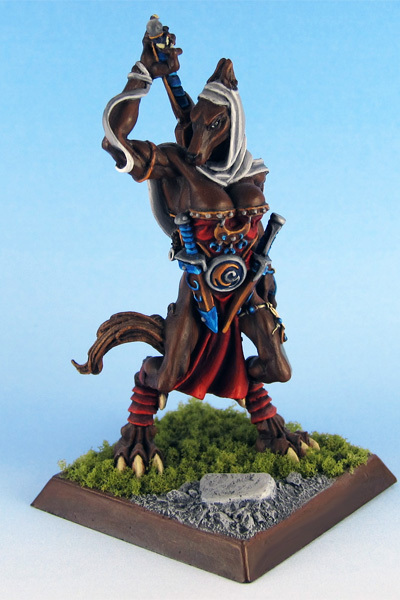 I restructured the page a bit and exchanged the “Tannhäuser” section with a new “other Minis” section, which will be the home for minis from companies or game systems I’ve only got a few minis to show you from. 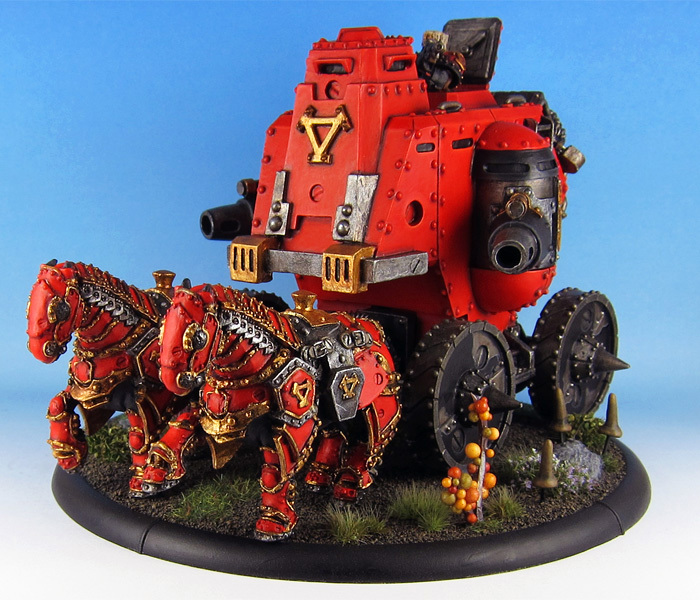 My original plan was to start with the Khador Conquest as soon as the Gun Carriage was completed, but after finishing the Gun Carriage I’m not in the mood to continue with the next large scale resin model. 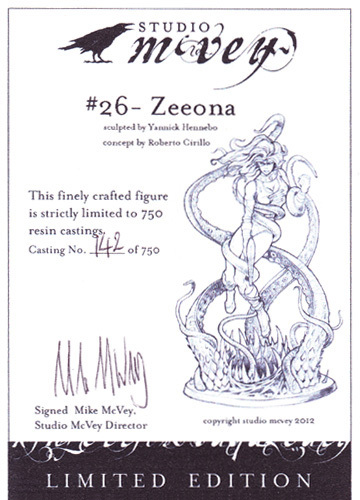 Instead of the Conquest I’ve decided to select Zeeona from Studio McVey as my next project. The model came with lots of flash and some very noticeable mold lines. It took a lot of work and modelling putty to get it ready for painting. There were some minor conversions done to this model: the hatch on top of the carriage was repositioned to provide more cover for the rifleman and the legs of the two identical horses were slightly repositioned. My new photo equipment arrived last week and I used it to take some new snapshots of the fae trees. I’ll be updating other pictures in the coming weeks, too. The gun carriage has been completed and pics should be online within the next few days.